The sanctuary at Central United Methodist Church, located in Albuquerque, New Mexico, is a long, shot gun style room that seats up to 1,000 congregants at every service. The room features traditional architecture with an abundance of hard surfaces that create a reverberant space and wreaks havoc on vocal intelligibility. 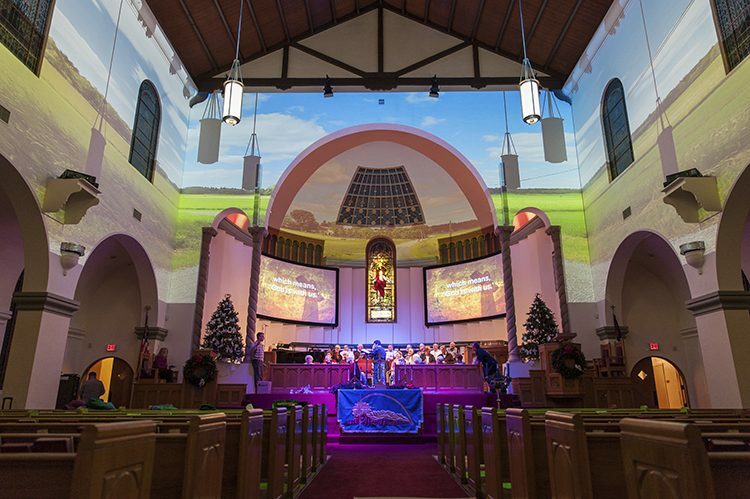 During a recent sanctuary renovation, the church leaders decided it was time to upgrade to a new sound reinforcement system to solve the intelligibility issues once and for all. They called upon Oklahoma-based Fowler, Inc. to design and install the new system which included TANNOY QFlex. At the same time, the church was very proud of its organ and choir, which flourished in the reverberant space. 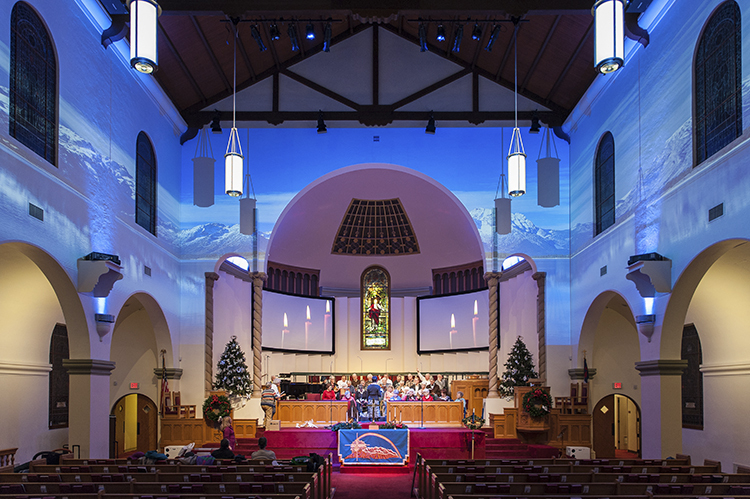 The hope was to find a sound reinforcement system that would require little or no acoustic treatment – allowing the choir and organ to shine – while also providing vocal clarity that the congregation required. The Fowler team installed a pair of QFlex 40s, one to the left and right of the alter/stage opening, approximately 10ft behind the lectern and pulpit. Each QFlex enclosure consists of three connected modules that house a total of eight four-inch LF, 16 three-inch LF and 16 one-inch HF drivers – each with its own discrete channel of amplification and integrated DSP. TANNOY QFlex steerable arrays provide controlled directivity, so it is relatively simple to place the sound on the seating areas and keep it off of the walls, substantially cutting back on reflections from hard surfaces. For added low end, a pair of TANNOY VS 10BP subwoofers were placed in a cove in front of the stage, behind the lectern and pulpit.